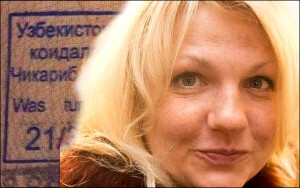 A plane Russian citizen Yekaterian Sajneva was in landed in Uzbekistan on November 27. Ms Sajneva is a journalist for the Moskovskiy Komsomolets newspaper, who has been in Uzbekistan several times. She now has friends in Tashkent and Bukhara; she fell in love with this country; and she visited Namangan several years ago to make reportage on Kamoljon Turgunov, the last defender of the House of Pavlov in Stalingrad. But this time Yekaterina was travelling in Uzbekistan for personal reasons. She was detained on the third day of her visit and deported several hours thereafter back to Russia “for violating the rules of sojourn.” Yekaterina told the details of how everything unfolded in an interview with Fergana Chief Editor Daniil Kislov. 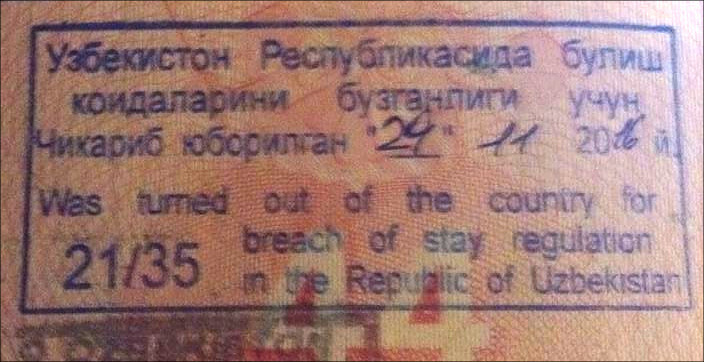 And also on the occasion that I will never be able to visit this wonderful democratic country of Uzbekistan: I was told I was deported for three years. Were you given any document to that effect? No, but a stamp was put in my passport. I was asked to write “confessional testimony” which I refused to, and I demanded to call the Russian consul. But they did not call anyone, but put together a protocol in the Uzbek language. Overall, they did not beat or insult me, they were polite in conversations; they took those papers somewhere and then said a court hearing took place. They escorted me through the VIP section of the airport and sent me to Moscow. I don't even know why I was deported from this country: I did not commit anything illegal. I was present in Moscow courts in the capacity of a journalist, which ruled to deport labour migrants from Russia to Uzbekistan. So, there guest-workers are brought to court and they sign documents, etc. Nothing of these sort happened [in my case]. Could you please tell more about your activities in Uzbekistan and what happened? I arrived in Uzbekistan for personal affairs, but no one prohibited me from speaking with people there. I was most interested in cultural matters, spiritual aspects, the world of the Russians there and how people live… I was in Syria four times during the civil war, I was in America, France and the Baltic states—I was free to talk to anyone [in those countries] and nobody would prevent me from performing journalistic activities or demand accreditation. After all, I am not engaged in espionage, I simply communicated with people. I was meeting my acquaintances in Tashkent yesterday and they said that they thought we were under surveillance. Upon exiting a big supermarket, I was confronted by two men in police uniform who stated I was violating the passport regime. I was asked to get into a car and they drove me somewhere; we rode in the car for at least 40 minutes definitely. I still don't know where they eventually brought me to—a police station or the National Security Service—I was simply not told about the destination. They then escorted me to the airport. The escorting group was composed of ten men and I was enjoying so much attention on their part! They were very polite and kept insisting that I fail to see how beautiful the country of Uzbekistan is and, therefore, would not see it for at least [the next] three years. 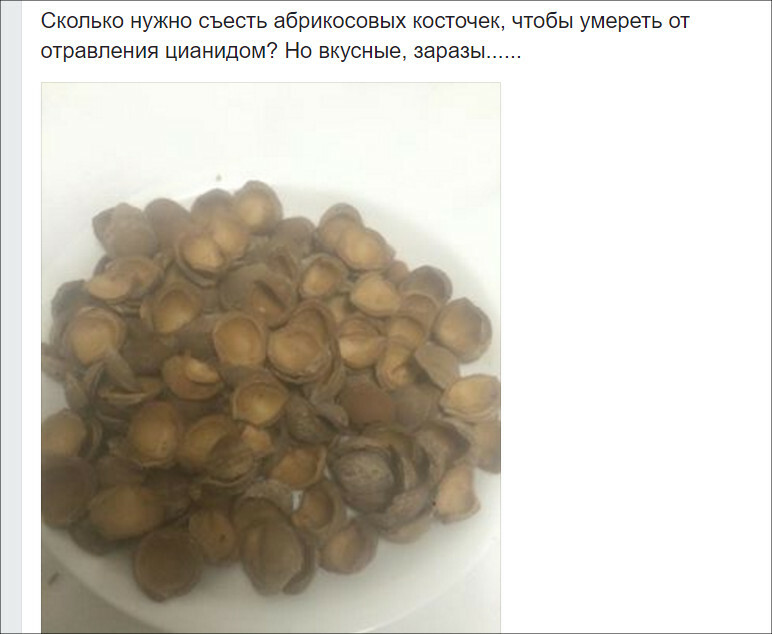 So, I will not eat those apricot pits for three years! 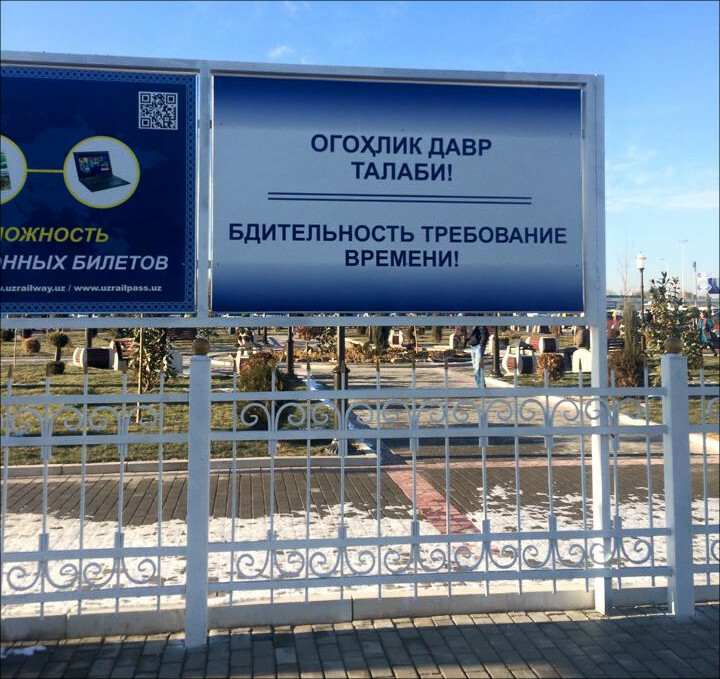 We will ask our friends in Uzbekistan to bring a kilogram of those pits each year for you. Thank you very much! I also want to thank the Uzbek secret services for treating me well. I think it may have been worse.